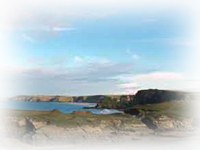 Newquay is approximately four miles north of Crantock by road. It is a busy centre of activity, providing entertainment for visitors of all ages. Enjoy strolling around the shops and gardens or take part in the many sporting and leisure activities that Newquay has to offer. 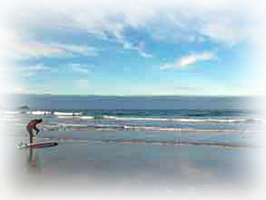 Newquay has many beaches, the most famous being Fistral beach, renowned for its national and international surfing competitions, drawing thousands of people to the town each year. Newquay, which established itself as a holiday resort in Victorian times, is still an immensely popular resort. It has an array of high-street shops, pubs and clubs, golf courses, tropical gardens, a boating lake, horse-riding stables, Newquay Zoo and Sainsburys, ASDA and Morrisons supermarket stores, to name but a few. Whilst Newquay has now become a trendy, town of busy day and night life, it still retains some real gems, reminiscent of its Victorian history; such steady co-existence of styles few places can boast. North of Newquay you will find Porth, Watermouth Bay and Bedruthan Steps, with many beautiful and secluded coves to discover along the way. You may also come across seals and dolphins which frequent this stretch of the coastline. Further north by road or path, you eventually arrive at Padstow. 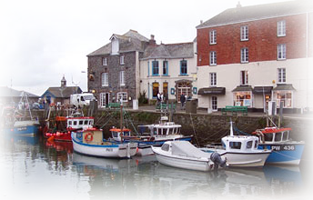 Now Padstow is more popular than ever since Rick Stein opened a number of eating establishments and shops to add to his famous restaurant on the harbour front. Whether you visit Padstow to enjoy the fine artistic cuisine or to consume the beauty of the quaint village, with a real Cornish ice cream or fish and chips (or both), we are sure that you will enjoy the occasion. The museum with a superb mineral gallery tells the story of tin mining in Cornwall and the people who lived here. Dogs are welcome all over the site with the exception of the Underground Tour. Enjoy a home cooked meal in the café with views over the Atlantic; visit the shop for a tempting range of books, minerals, jewellery and crafts. Open: Summer - 9am-5pm From Easter till end of October. Three railways in one! Take a two mile return trip on a steam train to East Wheal Rose, followed by two more miniature trains, canoes and paddle boats, crazy golf, play and picnic areas, nature trails, brick path maze, historic mine building licensed cafe and gift shop. A menagerie of animals in sub-tropical lakeside gardens. A fun-filled, educational day out for the whole family including: African Plains, Wildlife at Night, Oriental Garden, Village Farm, a Childrens' Play Area, Cafe Bar/Restaurant and Gift Shop. A spacious tree lined parkland course with spectacular countryside views. The sculptured greens are seeded with American Penncross bent grass for a true and fast putting surface. The course is made up of 5 par four holes and 4 par threes and is designed, constructed and most importantly, maintained to a very high standard. Experience the internationally acclaimed Victorian Village and Britain in the Blitz, along with spectacular thrill rides, family shows, play areas, live entertainment and glorious gardens. Open: Summer 10am -4pm Monday - Friday. Saturday Club. Sunday (lessons).